The visual record of the 18th Biennale of Sydney, all our relations encapsulates the themes of the 2012 exhibition. 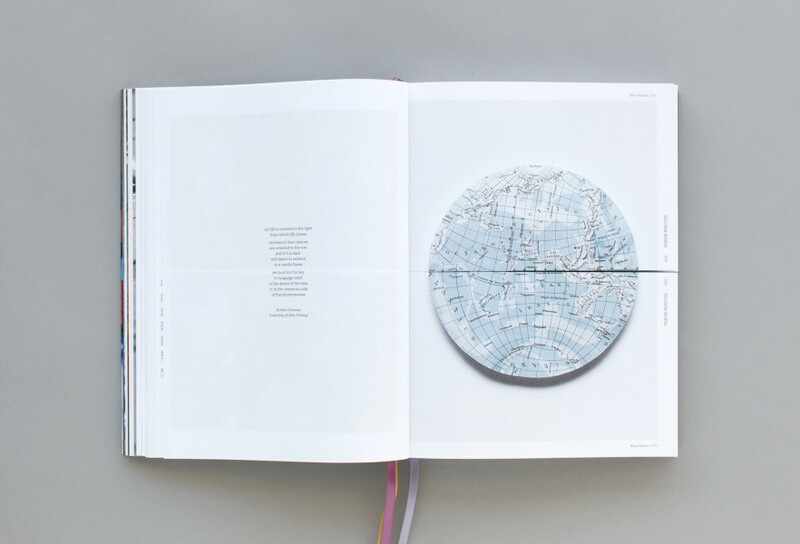 The catalogue features reproductions of works by more than 100 Australian and international artists, and was hand-bound with a split-page device, giving the reader the ability to reconfigure the intended curation. Essays by Artistic Directors Catherine de Zegher and Gerald McMaster, together with contributions from Lionel Fogarty, Bruno Latour, Jean Fisher, Michael Hardt, David Abram, Brian Massumi, Erin Manning, Subhankah Banerjee, Roger Maaka, Everlyn Nicodemus, Alwar Balasubramaniam, Philip Beesley and Thomas Seeley.